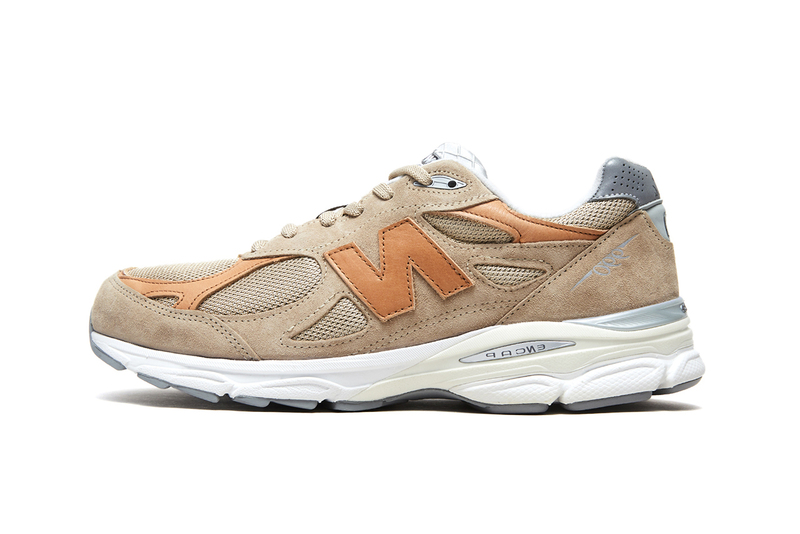 Last year’s Todd Snyder x New Balance 990v3 “Pale Ale” has been reworked for Spring/Summer 2019. The 990v3 “Dark Ale” is the darker-hued sibling to last years exclusive sneaker, crafted in the USA once again from premium vegetable tanned leather. The menswear designer’s favorite brew — pale ale — is used as the sneakers reference point for its full-bodied colorway. Sporting a mixture of premium leather, suede and micro-mesh, the 990v3 “Dark Ale” is designed to get better with age thanks to a chemical-free tanning process. Wearing the sneaker will encourage it to develop a natural patina, a nod to Snyder’s appreciation for traditional Mid-Western quality craftsmanship. The “Dark Ale” iteration sits atop a white and cream colored ENCAP sole unit featuring a carbon fibre spring plate for added support and comfort. 3M heel tabs round off the collaborative pair. For more limited edition New Balance’s, take a look at the latest Made in England 1500 which was created with Virgin Money for the London Marathon.